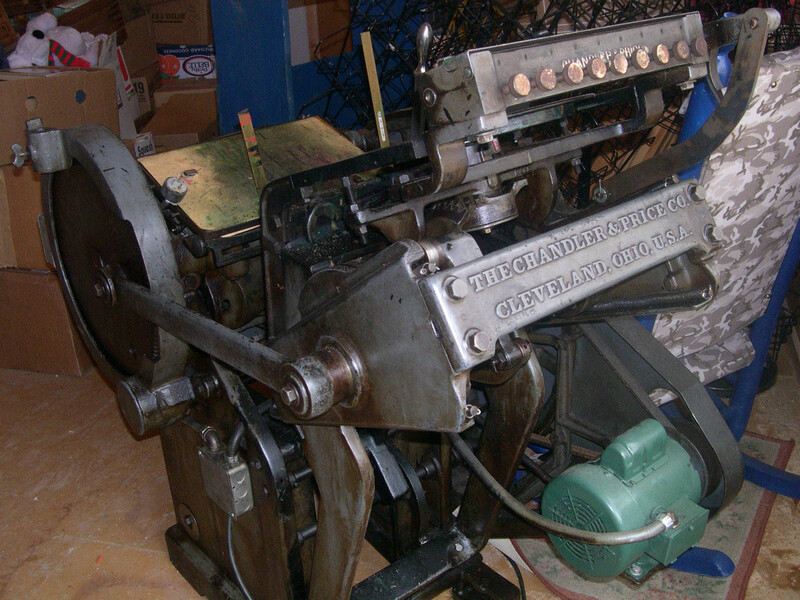 The printshop equipment is SOLD! Congratulations to Barbara Wyman and family on your purchase of your very own printshop. Happy printing!! We’re excited to have this famous equipment — it will all be kept together, and used with love!! Excellent! We appreciate that. May you use it in good health and we hope it brings you joy and good fortune.